George Wilson Thomas, former General Manager of KTSU 90.9 FM for 18 years passed away Saturday, April 13, 2019 at the age of 80. Born in Galveston, Texas in March 1939, he set a standard of accomplishments that few can ever imagine. In addition to being an avid jazz enthusiast, a trumpet player, tennis instructor/player and friend to all, George was the kind of man who led by example. No task was too difficult because of his visionary spirit. Always the optimist, George found ways to make things happen due to the many relationships he developed throughout his life from all walks of life. His ideas bore fruit and his passing leaves a void in the lives of all who either met or knew George Thomas personally or socially. His anecdotes on life, positive mental attitude and quick wit made him a joy to be around and a friend to all, but it was his faith in God that kept him grounded in spite of his gregarious personality. He could be philosophical and sentimental about life as he knew it to be or provide wisdom to others where needed. His favorite greeting once he got to know someone was: “My brother or My sister,” but once you became a member of that club, you became a friend of his for a lifetime. Variety was always the spice of life because George always looked to the rainbow to find his pot of gold to achieve his objectives. Because of his enthusiasm for tennis, George and other local area tennis players spearheaded the KTSU Tennis Tournament which ran for 17 years under his watch. Tennis players from all over the United States came to Macgregor Park to play in the event. He was so enthusiastic about tennis, he recorded a how-to CD to teach others fundamental aspects of the game in 2018. As a musician, he played in and around local area clubs for over 40 years with his group ‘George Thomas & Friends.’ He was also instrumental in helping create the African-American Public Radio Consortium, a group made-up of black general managers in public radio, whose goal was to create more programming from a black point-of-view. Although his list of accomplishments are many, Thomas’ most notable achievement was bringing KTSU into the 21st century. In 1995, George Thomas became the General Manager of KTSU at a time when the station had limited resources and external funding was sporadic at best. Before that, he had helped to raise revenue as an account executive for the station, but took the helm under undue circumstances when the need arose. At the time, there was no office equipment and the building KTSU was housed in leaked when it rained. One of the first duties as GM was to connect KTSU with the Corporation for Public Broadcasting (CPB), a government entity responsible for providing funding for all public radio stations. The move gave the station a broader platform to operate from nationally and gave rise to annual funding through grants for increased programming opportunities. Once that initiative was in place, George’s ever-evolving vision began to unfold towards even higher goals and objectives. With increased funding from CPB and implementation of two-annual fund-raising events that raised hundreds of thousands of dollars for KTSU, the station was known to have the largest African-American audience of any public radio station in the United States; however, George’s vision was even greater than that, which led back to the African-American Public Radio Consortium. Through a chance meeting with Tavis Smiley a nationally-known media correspondent, George Thomas, CPB and the Consortium pioneered “The Tavis Smiley Show.” Because he and Smiley became friends, Thomas was able to introduce him to TSU’s President and other officials at the University. In effect, KTSU became a launching platform for Smiley’s show and other HBCU public radio stations were soon to follow. Because of the station’s audience size, other public radio stations throughout the United States marveled at George’s programming standards. He believed it was never about the station’s programming, it was always about the music KTSU played, with jazz being the primary focus; along with inferences of blues, gospel, reggae, classic R&B, zydeco, news and public affairs. 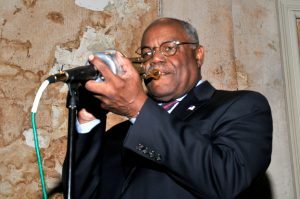 In addition to that, Thomas wanted to maintain jazz as “one of America’s most original art forms.” KTSU provided the perfect forum to achieve his goal-oriented mindset. Under George’s watch, it was music that made listeners want to support KTSU. Many believed including three of his very close friends, Joe Sample, Hubert Laws and State Representative Harold Dutton that George Thomas had taken the station farther than it had ever been before he got there. Ultimately, two of his most notable accomplishments were the building of a state-of-the-art 18,000-square foot state-of-the-art digital broadcast facility and a recording studio in 2005. His other vision took place in February 2019 with the launching of KTSU2 – “The Voice,” a student run streaming radio station, something he began planning for in 1995 when he became General Manager. He wanted students at TSU to have access to the tools they needed to become media professionals once they graduated. The new facilities would prepare them to compete in the world of radio broadcasting. During the launching of the new station, students who never knew George Thomas existed interviewed the man behind the vision. Watching the level of enthusiasm exhibited by the interviewers conversing with George was truly heart felt for all to witness. 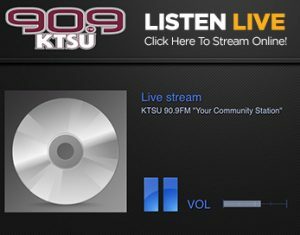 The launching of KTSU2 was years in development and Mr. Thomas had retired from KTSU 90.9 FM in 2013; but another visionary who thoroughly believed in TSU’s students preparing for their future made sure the resources were available to see the station through. 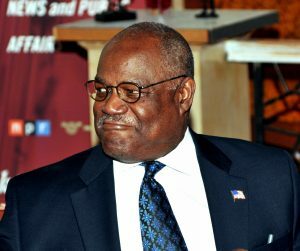 George Thomas planted the seed, Dr. Austin Lane, the current President of Texas Southern University made it happen to help ensure a successful transition into broadcast media. When reflecting upon the achievements of Mr. George Thomas, anyone who has ever crossed his path benefited from knowing him, the likes of which comes on the scene once every blue moon. In spite of the severity of his illness in the closing days of his life, George Thomas in his typical thought-provoking fashion said: “I am closer to the front of line of life than I am the rear and I have more days behind me than I do in front of me. I ain’t scared because in death I will see my family and friends once again.” He will best be remembered as a mentor, visionary and a friend to everyone he came in contact with, while leading by example everyday that he lived. George passed away the same way he lived, with dignity and respect as he said goodbye surrounded by those who appreciated his influence. There were two sides to George Thomas: “Deacon George” and “Horn George,” those who knew him personally knew the difference.